3D Dumbo Crystal Puzzle | A 3D brain teaser to bend your brain! A 3D brain teaser to bend your brain! 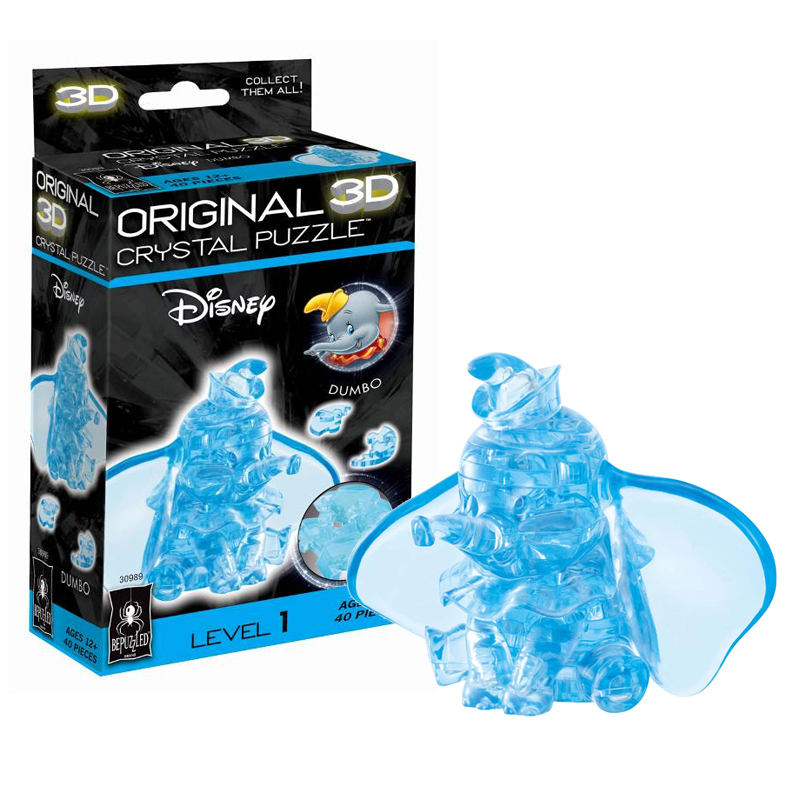 Assemble the 40 uniquely-shaped plastic interlocking pieces of this puzzle to create your very own Dumbo figurine. Featuring those striking ears that make him so special, don't be fooled by the cute design of this puzzle, it can be harder than it seems to assemble! Follow the instructions to create your 3D jigsaw. The key is to sort the pieces into their order of assembly to avoid confusing similar pieces. It's a wonderful keepsake for Disney fans and the perfect addition to your own collection. It's time to give puzzling a whole new dimension!